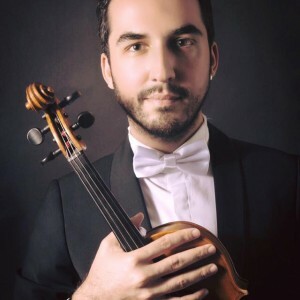 The artist, who goes on his career as an academician and performer,was born in 1984 in İzmir.He began his music career in 1994 in İzmir State opera and Ballet,he took part in a lot of pieces as a member of chorus and soloist. In 1997,he won the musical department of Bilkent University with full scholarship,in the same year,he joined the viola department in İzmir D.E.University.In 2002 april ”5th International Edirne Classical Music Competetion”,He won 2nd prize in chamber music-duo cetgory,he gave his first recital in the same year. He studied with İ.Z.D.S.O artist Zeliha Özel and Prof. Çetin Aydar in Dokuz Eylül University….